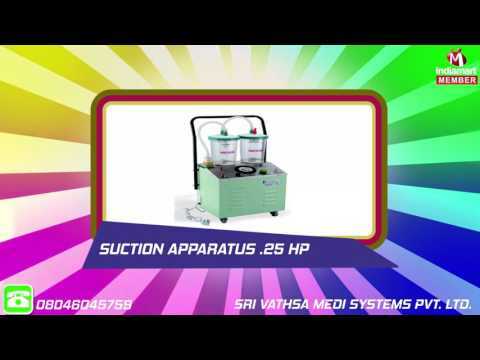 Sri Vathsa Medi Systems Private Limited was established in the year 2001, carved a niche in the market. Our company is located at Secunderabad, Telangana (India). We are the topmost trader's of Operation Theater Equipments, Anesthesia worktation, ICU Ventilator, Monitors and many more. By giving utmost emphasis over the products excellence, we have been able to make defect free shipment of assortment at our client place. We are also providing Ecg Machine Repairing Service.